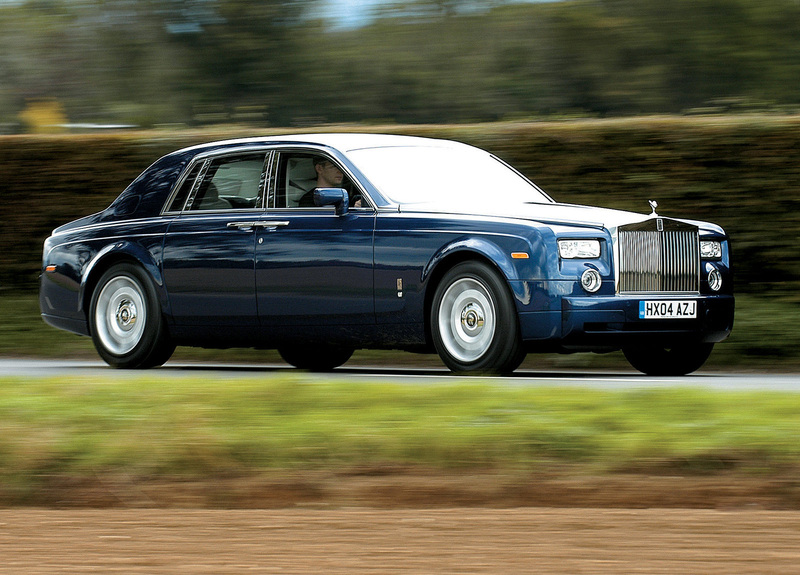 Rolls-Royce Motor Cars Limited has revealed the all-new Rolls-Royce Phantom today at the company's new manufacturing plant and head office at Goodwood in West Sussex, UK. It is just four and a half years since BMW Group became the custodians of the Rolls-Royce marque for automotive use, in July 1998, and committed to launch a new company, a new plant and a new motor car in January 2003. 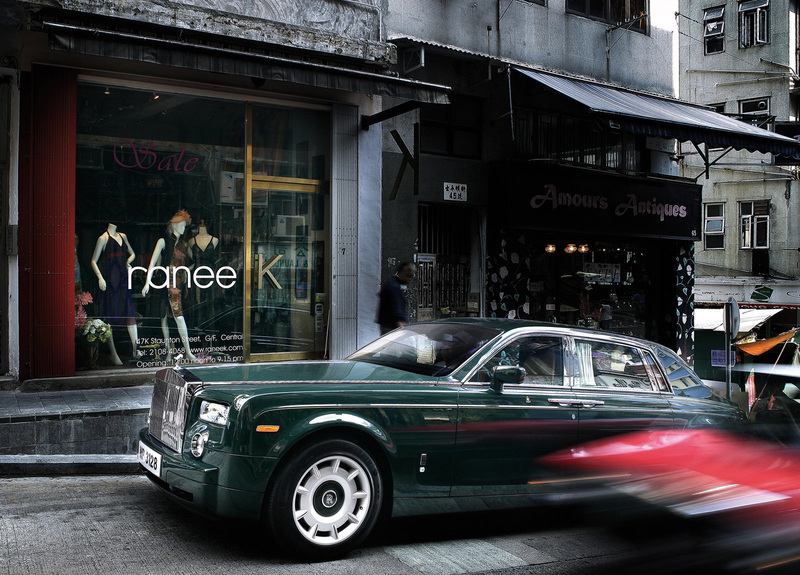 Entirely new from the ground up, the Rolls-Royce Phantom captures the essence of the world's most famous car brand, interpreted in an utterly modern way. 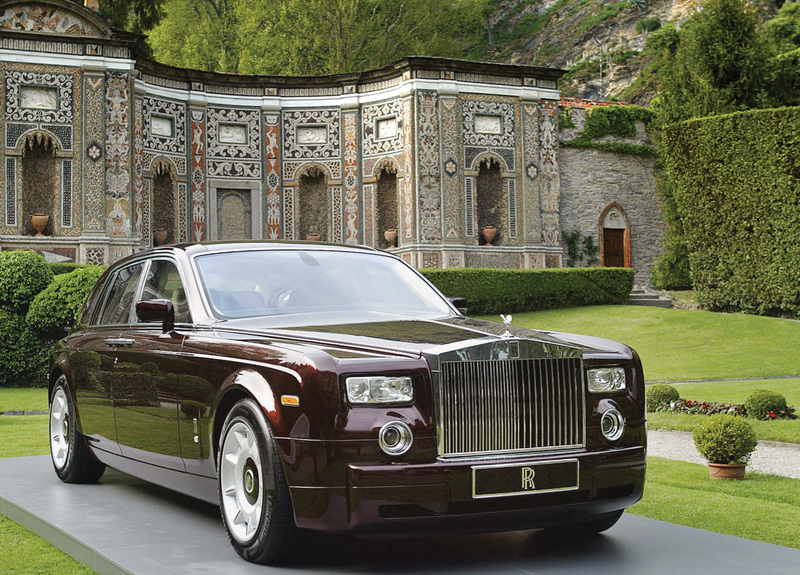 Influenced by the guiding principles of Sir Henry Royce, "Strive for perfection in everything you do. Take the best that exists and make it better. When it does not exist, design it," the design and engineering teams began with a blank sheet of paper. The result is a motor car which incorporates cutting edge engineering technology, unparalleled quality and the finest in hand-built craftsmanship. 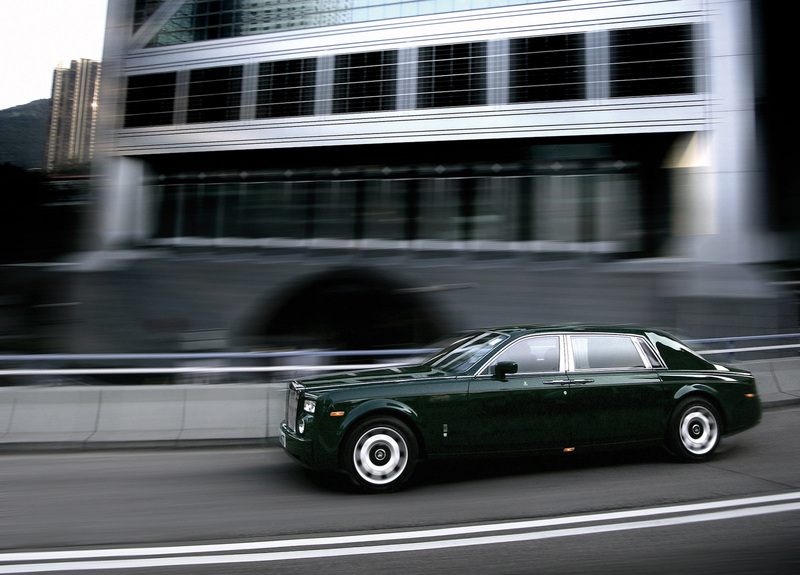 The Phantom has a light-weight aluminium space frame body, a V12 engine which develops tremendous power and torque and a style, inside and out, which is every inch a Rolls-Royce. Designers immersed themselves in the heritage and design principles which had made Rolls-Royce world famous and found particular inspiration in the Phantom I and II models of the 1930s, the Silver Cloud of the 1950s and the Silver Shadow of the 1960s. 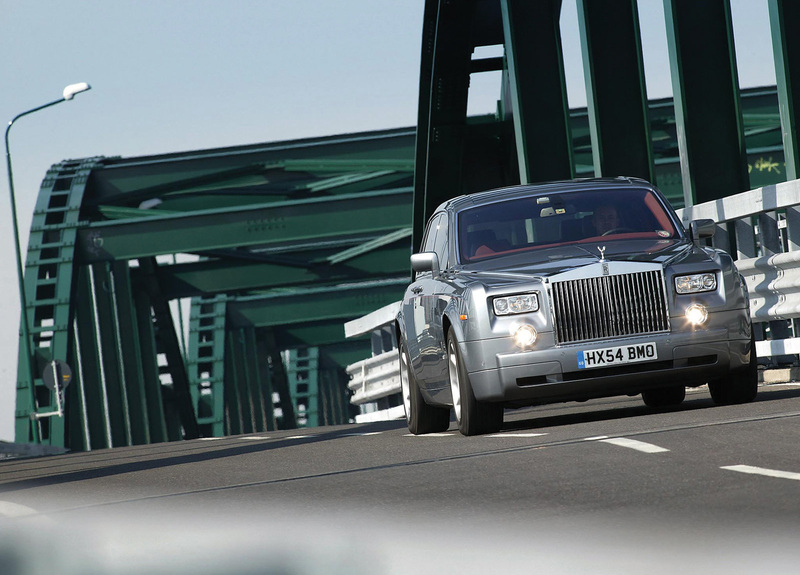 Features like a long wheelbase, a short front overhang, a deep C-pillar, a long bonnet and a particular stance, which made these motor cars look as if they were lightly accelerating even at a standstill, were fundamental design elements and were incorporated into the new Phantom - quite apart from the famous grille and The Spirit of Ecstasy mascot. 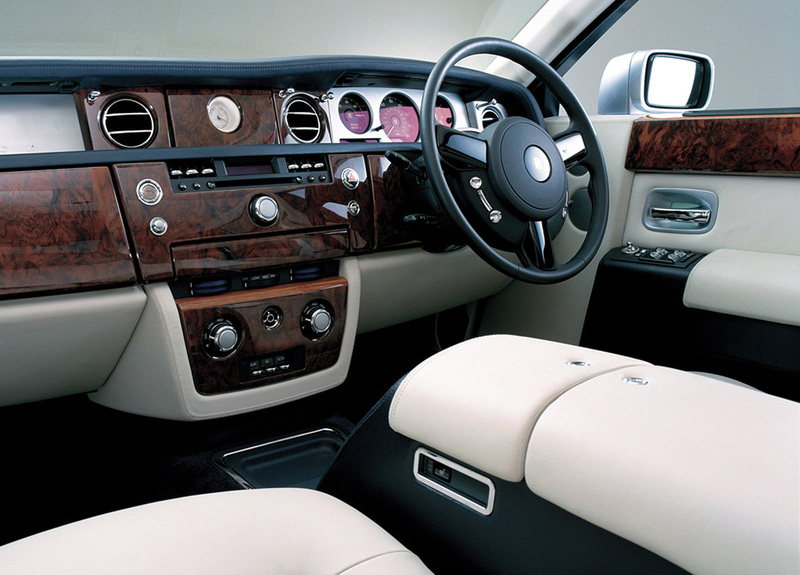 On the inside, the finest leather, Cashmere trim and fitted cabinetry have been used to create an atmosphere which is simple, yet of unquestionable quality. 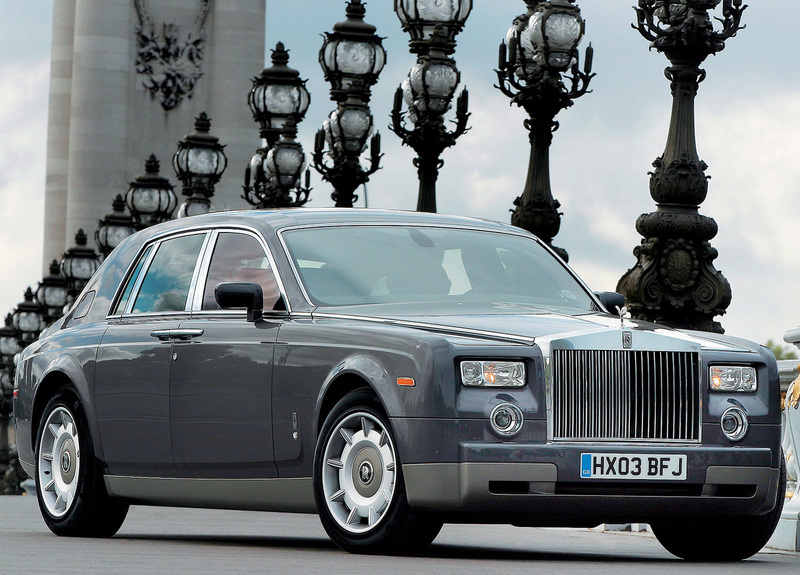 Access is via coach doors, which open from the centre of the car (the rear doors hinged at the back) reminiscent of the classic Rolls-Royce era and which have been chosen to give easy access to the rear. Combined with a flat floor they allow passengers simply to walk in to the rear, turn and sit down. A slightly curved lounge seat helps to create a social environment. 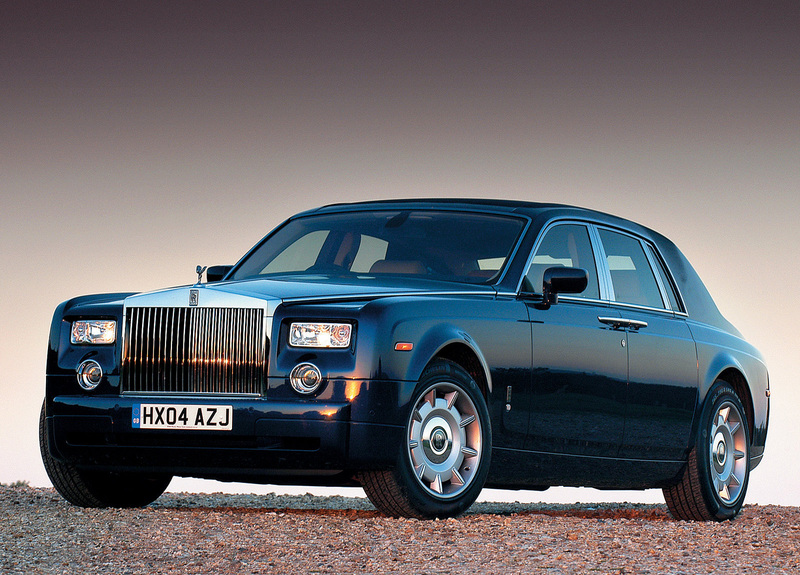 The Rolls-Royce Phantom is easy yet rewarding to drive - something which is vitally important as the majority of owners will drive themselves most of the time. The high driving position gives an excellent view. 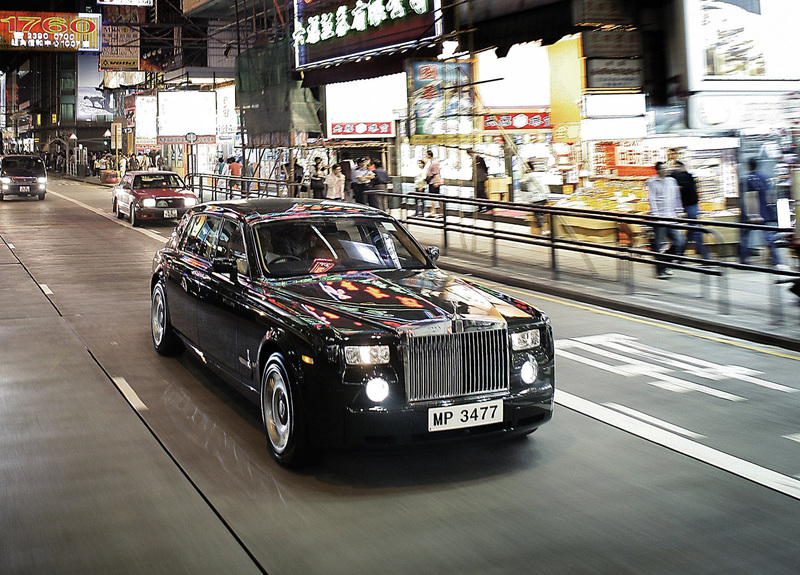 Intuitive and effortless to drive, the Phantom is beautifully refined and precise in its responses. Self-levelling air springs, electronic dampers and multi-link rear, double wishbone front suspension combine with the long wheelbase and high profile tyres to give the perfect combination of ride and handling. 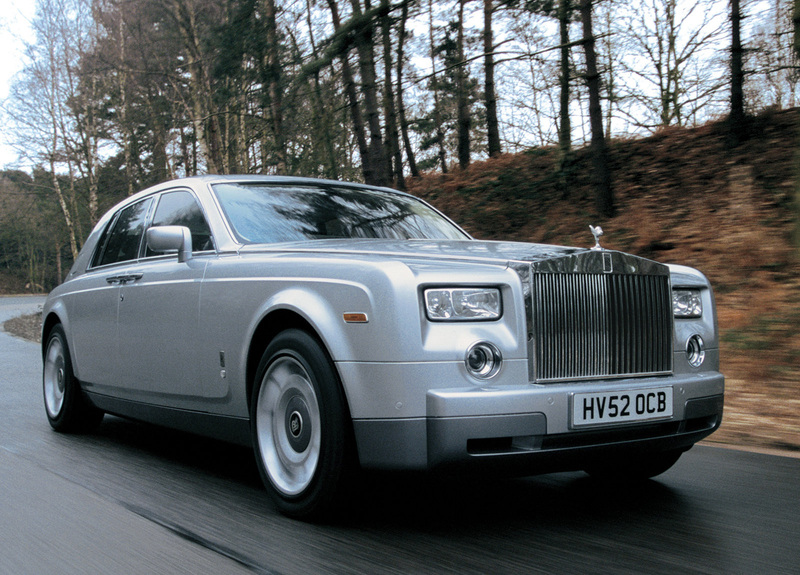 The large wheels and tyres have been specially developed for the Phantom: it is the first car in the world to feature the advanced PAX run-flat tyre system as standard, which allows the car to run for 100 miles at 50 mph after a puncture. 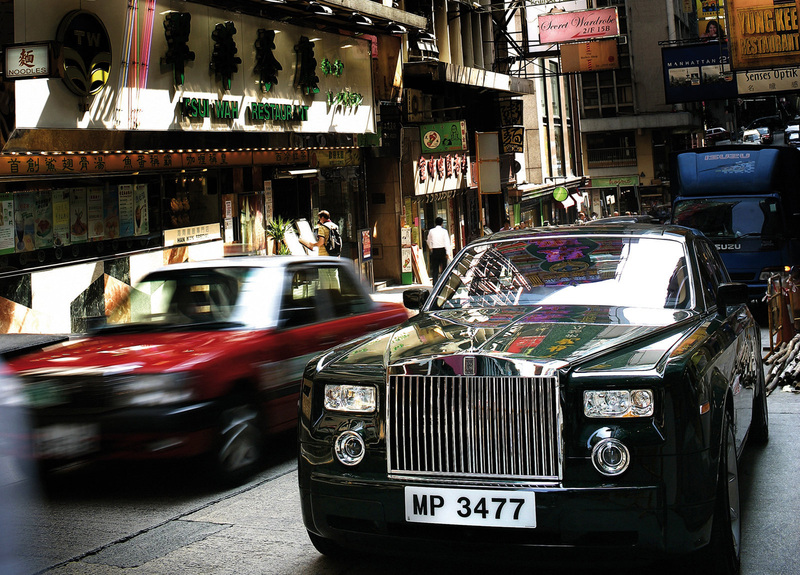 On the move, the purpose-designed 6.75-litre V12 engine provides huge reserves of power and torque. 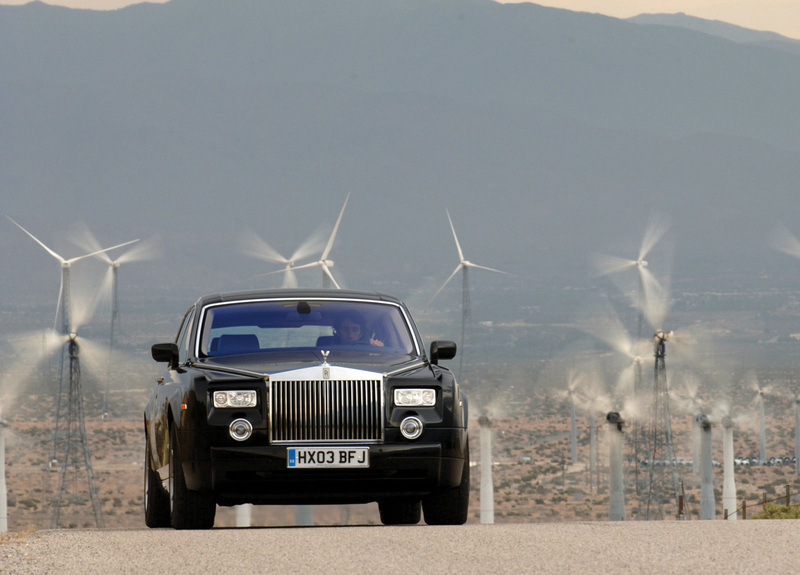 The Rolls-Royce Phantom will accelerate from 0-60 mph in 5.7 seconds (0-100 kph 5.9 seconds) and on to a limited top speed of 149 mph (240 kph). 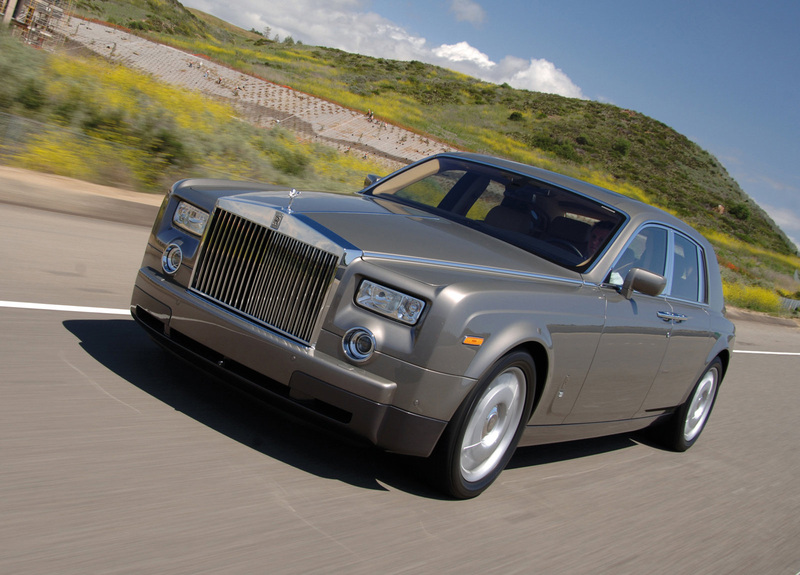 Behind the wheel, the low-down torque wafts the Phantom swiftly yet effortlessly from tick-over. Peak torque is 720 Nm (531 lb ft) at 3500 rpm, but more importantly 75 per cent of that total is developed at just 1000 rpm. Maximum power is 460 PS (338 kW). The latest in combustion technology - variable valve lift, variable valve timing and direct fuel injection - helps produce excellent fuel economy for a motor car of the Phantom's size and power. On the EU extra urban cycle it returns 25.7 mpg (11.0 l/100 km) and a combined figure of 17.8 mpg (15.9 l/100 km). As well as the main features of the Phantom, there are a number of delightful detail touches which help to make this such a special motor car - something in which Rolls-Royce has always taken pride. For example; the electrically retractable Spirit of Ecstasy, which can be lowered out of sight whenever the Phantom is parked; the wheel hub centres, bearing the interlinked double-R logo, which remain upright; and the umbrellas which will be found stowed within each rear door. 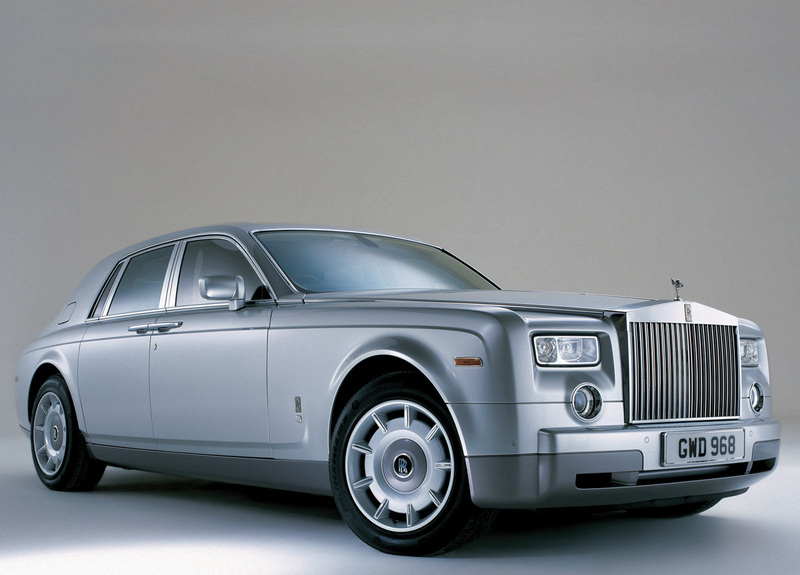 Tony Gott, chairman and chief executive of Rolls-Royce Motor Cars, says: "For nearly 100 years, Rolls-Royce has been the icon of motor engineering and design. The name has entered the language as an expression of perfection. 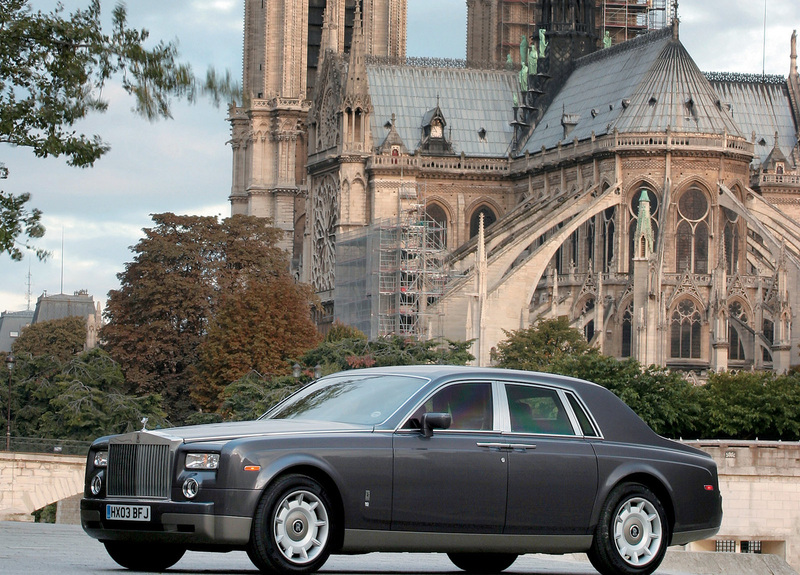 The new Rolls-Royce Phantom is, we believe, entirely in keeping with that long and illustrious heritage, yet is totally contemporary in its design and technology." "Its name evokes the personality of the Phantom I and II models of the 1930s and reflects timeless values of quality, distinction and authority, combining the best of the past with the best modern design, engineering and technology to take Rolls-Royce firmly into the 21st century." When sites were being considered for the new manufacturing plant and head office, it was established from the start that it should be in Britain - the home of Rolls-Royce - but a number of other factors were taken into account. Chiefly these were to have a large enough site, with good transport links, access to a test track and proximity to a skilled workforce. Also, as many Rolls-Royce customers would wish to visit the plant, it was important that it should be in an attractive part of the country. Goodwood stood head and shoulders above the other sites under consideration when measured against these criteria. The Goodwood facility combines the latest in engineering technology with the finest in craftsmanship skills. The new Rolls-Royce Phantom is precision hand-built in a way the automotive industry has never seen before. sedum plants not only change colour with the seasons, they also provide insulation to save heating energy in the winter months. This original and environmentally aware manufacturing plant reflects the theme of uncompromising excellence, which is central to the whole project.